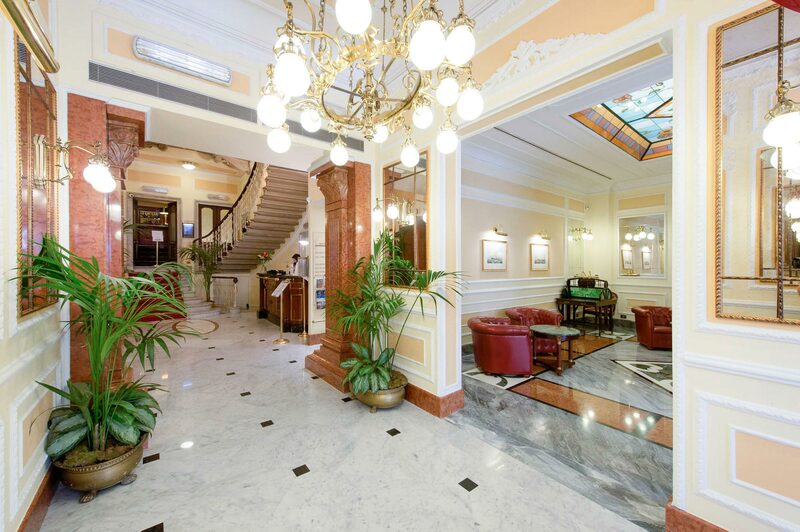 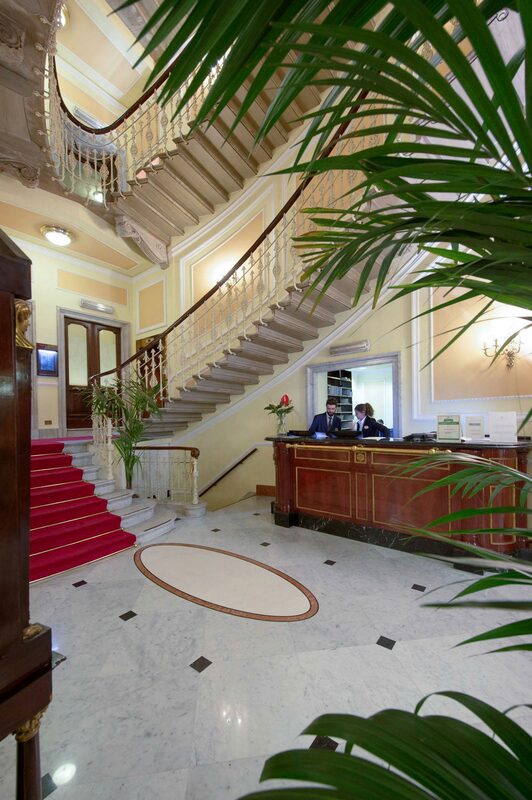 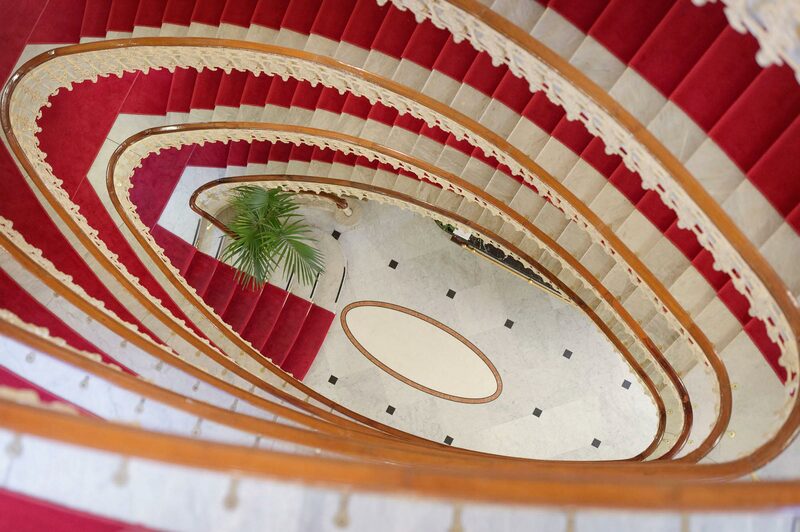 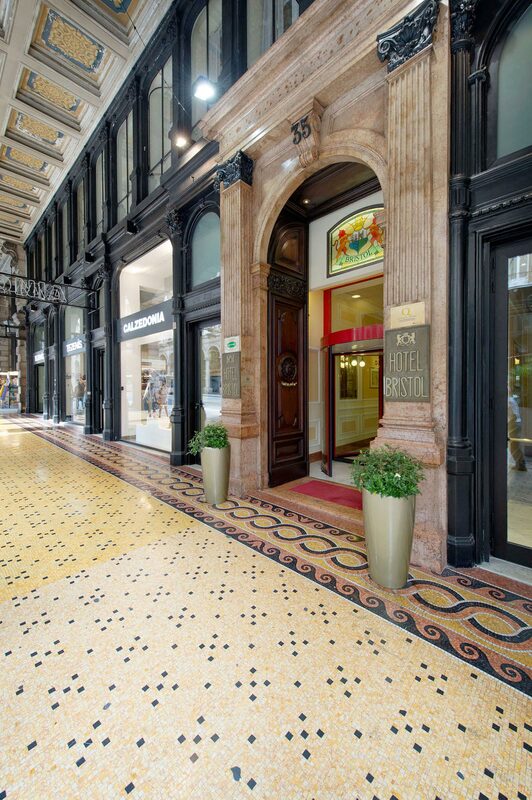 Bristol Palace rises a short distance from the Carlo Felice theatre in the heart of Genoa. 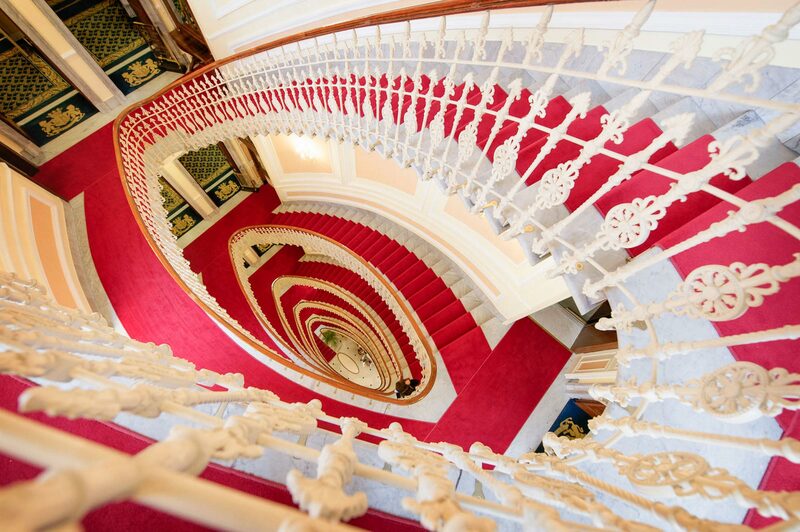 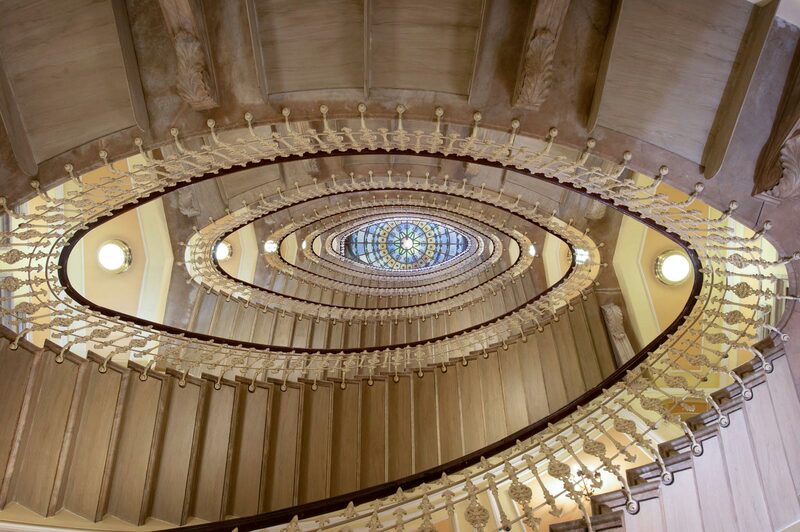 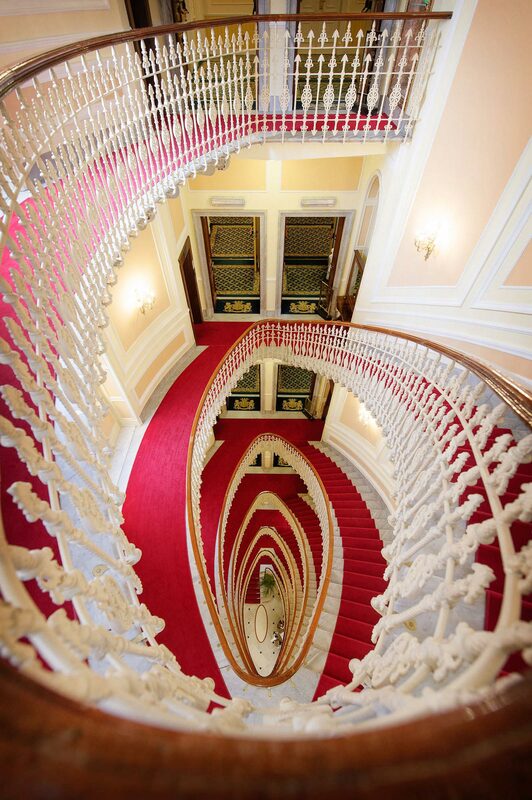 The theatricality of Art Nouveau permeates the interiors and decor, starting from the elliptical stairway whose swirling balustrade and Carrara Marble steps inspired Alfred Hitchcock's Vertigo. 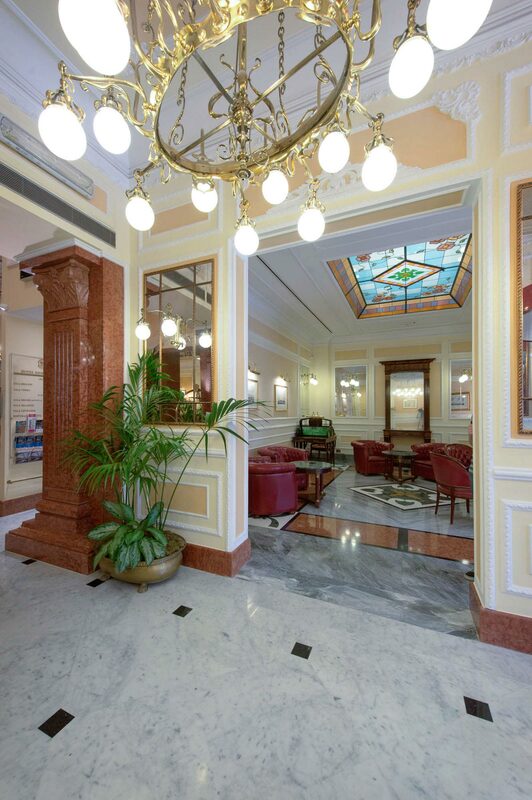 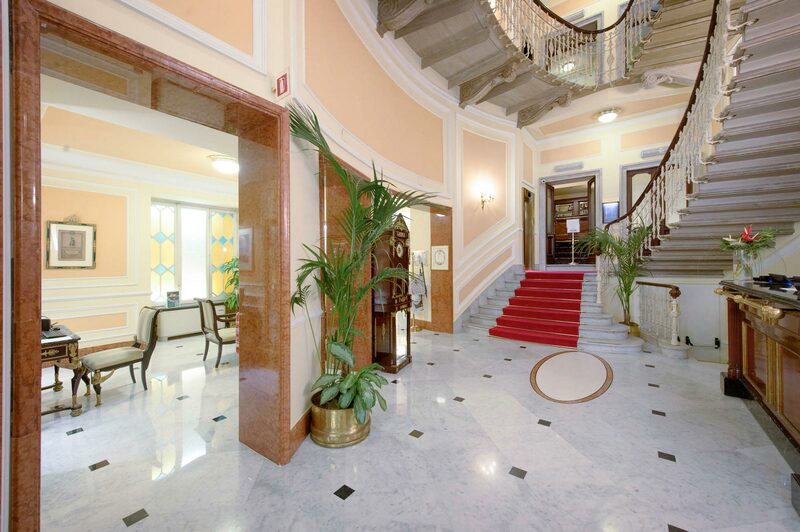 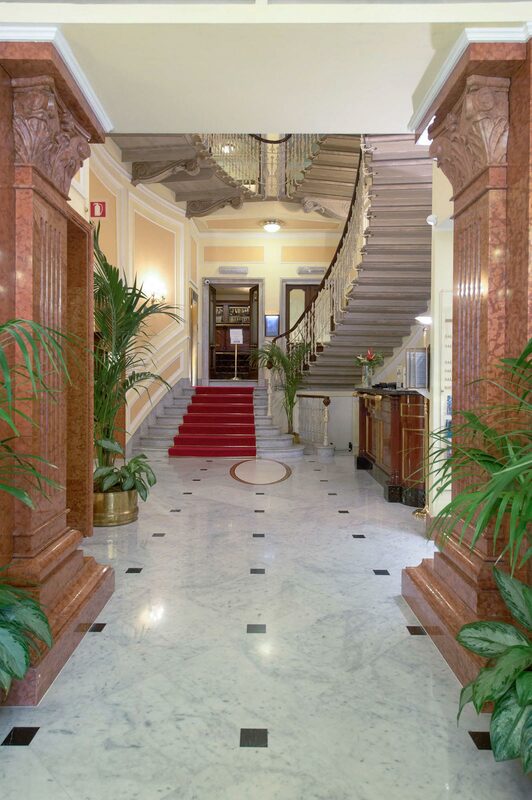 The Statuario Marble of the floor, with Nero Marquinia squares, accentuates the elegance of the entrance and hall, which are further enhanced by decorative plasterwork on the walls and by Corinthian pilasters in Rosso Asiago marble. 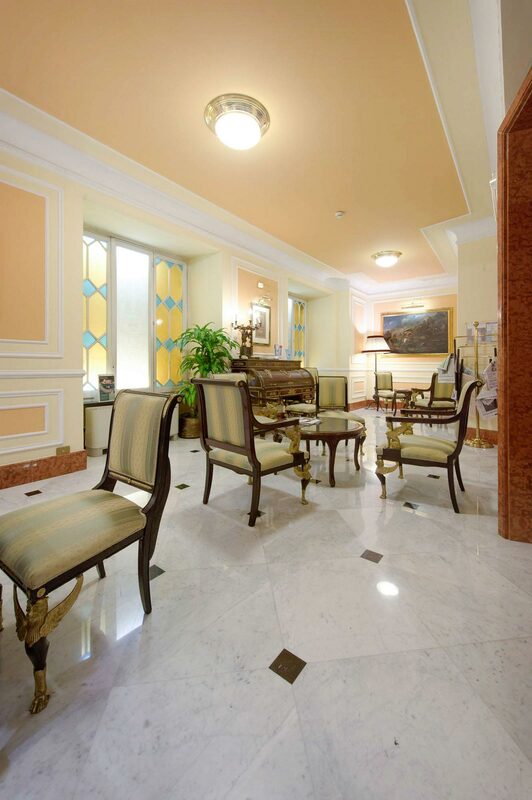 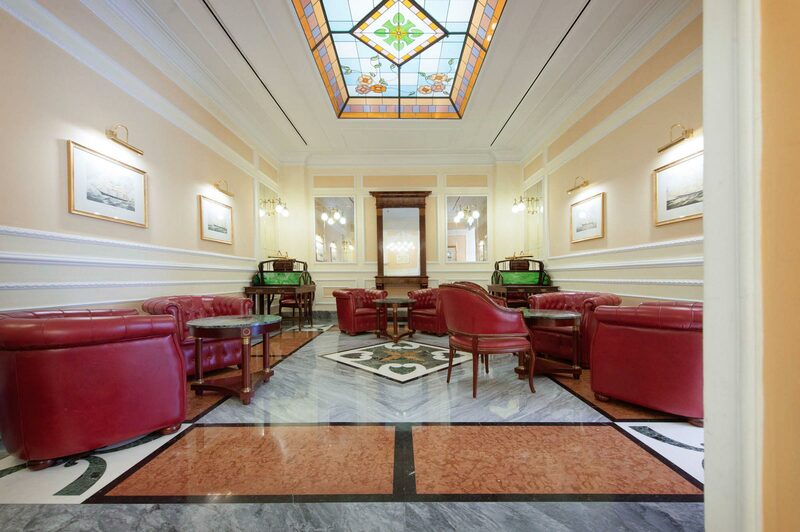 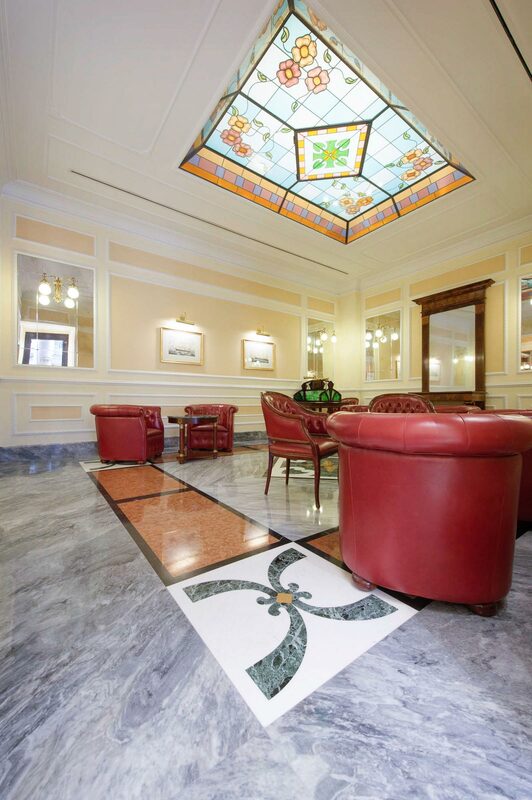 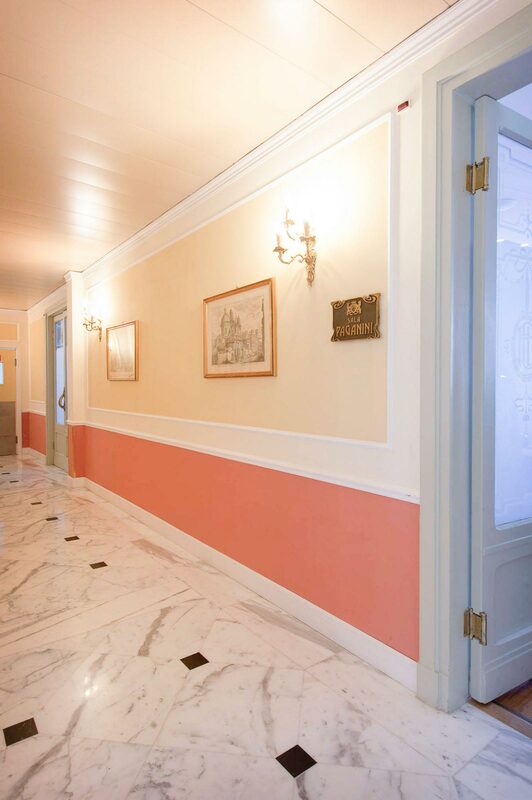 The floor of the reception room on the first floor, on the other hand, boasts finely polished Giallo di Siena, also with Nero Marquinia designs and Statuario Marble. 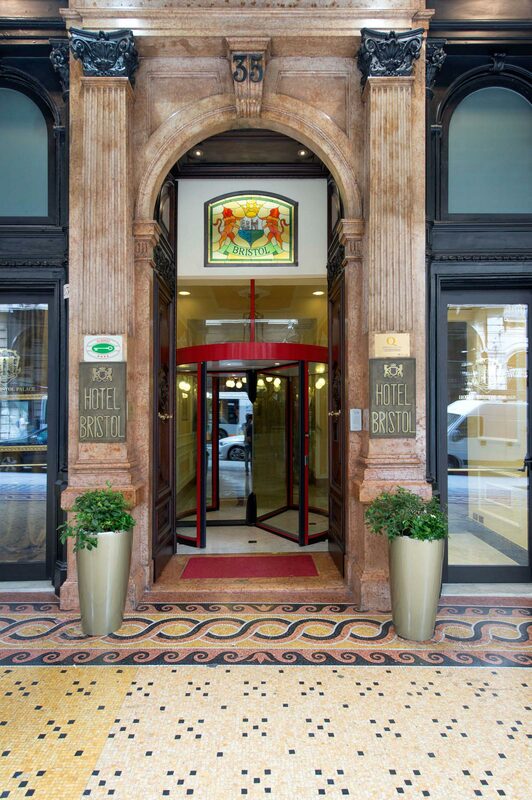 When you walk in, Edmondo De Amicis's comment, “I walked out of the Bristol feeling that for 5 days I had lived like a lord”, seems truer than ever.